LENA LUTHOR: At the age of four, Lena was adopted by the Luthor family. She had a difficult upbringing with her adopted mother Lillian favoring her brother Lex. However Lena was loved very much by her adopted father. Lena got along with Lex feairly well in thier childhood but as an adult, when Lex started targeting Superman, she grew concerned for his well being and tried to help him. After her brother, Lex, was sentenced to 30 life terms in prison, Lena took over as the CEO of Luthor Corp. She moved to National City to helm the company, and immediately set about atoning for her brother's crimes. 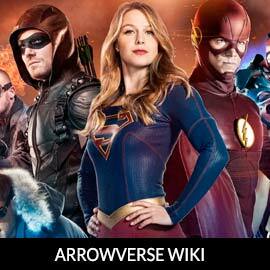 For more on Lena Luthor, check out our partners at ArrowverseWiki.